Holiday shoppers can score several consoles, including the Halo 4 limited edition bundle, at a discount for a limited time. Just in time for the holiday rush, Microsoft is slicing a cool $50 off the price of several Xbox 360 SKUs, including bundles featuring the Kinect accessory. The new lower prices points actually began popping up at retailers including Amazon and GameStop before Microsoft officially confirmed the new deals. 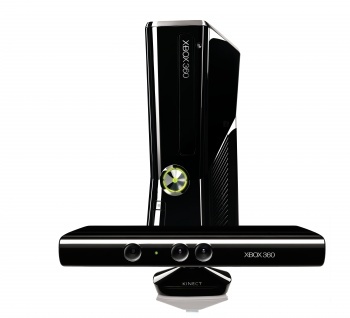 The price cut applies to not only the standalone 250GB Xbox 360, but the 4GB and 250GB Kinect bundles as well. Somewhat surprisingly, the not-yet-released Halo 4 limited edition bundle is also included in the deal, bringing its pre-order price down from $399.99 to $349.99. The new lower cost comes just days after Nintendo revealed a $20 price drop for its aging Wii console, as well as a new bundle. In Microsoft's official confirmation, the company notes that the price drop is a temporary promotion at participating retailers specifically for the holiday season. No date was given in regards to when the promotion ends and prices would return to normal.